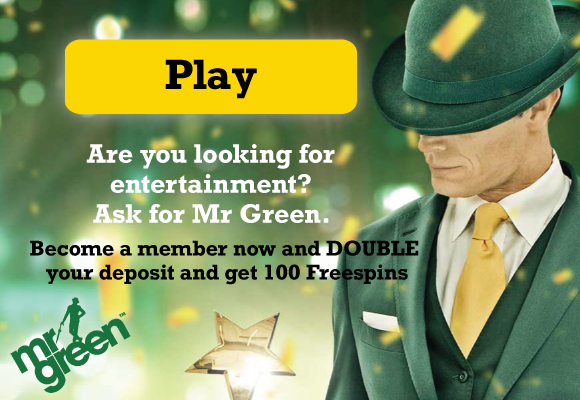 Mr. Green is an Award Winning Online Casino and has been around for a short while and in this review, information on and the important details will be shared on Mr. Green casino for people who know little or nothing about this online casino. The casino has been in existence since 2012 thanks to Mr Green and Co AB gambling Investment Company in Sweden. The casino is licensed and regulated by the Maltese government and the United Kingdom Gambling Commission. As you can see, it has a very strong license and thus you can proceed to register yourself if you were contemplating to do that at first. Its website has a very beautiful interface that is eye-catching. It has over 265 games that a player can choose from. Unfortunately, there are several countries that have locked out Mr Green lovers from registering or transacting business with this casino because of their strict laws that prevent them from doing that. Those countries include but not limited to the following: Kenya, Spain, the United States, India, France, Costa Rica, Hong Kong, the Republic of China, Denmark, Spain, Japan South Korea, Belgium, Russia, Ukraine, Czech Republic, and South Africa. On their website, the international languages that are supported include German, English, Nederlands, Polish, and Slovak. That is right. 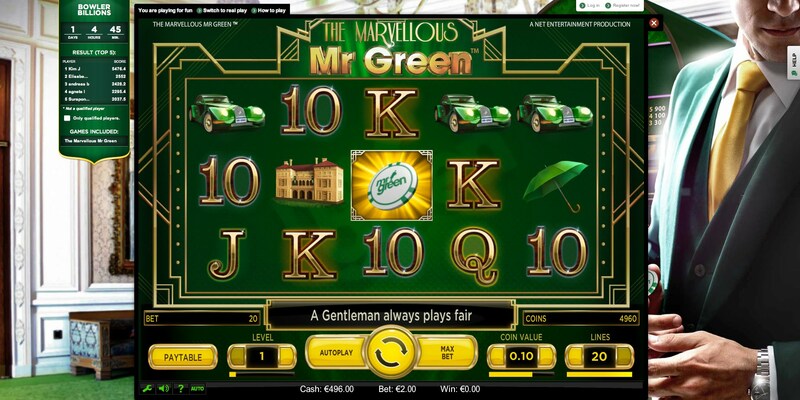 Mr Green casino has both Virtual and Live games for its players across the world. This was made possible because of the effort of the top game developers in the world. These top developers are Microgaming, NetEnt, Quickfire, Bally Technologies, Betsoft, Evolution Gaming, NextGen Gaming, Playtech, Quickspin, Nyr Interactive, Eddict, Play N’ Go, and so much more. Some of them have specialised in developing virtual games while others have their interest in live games. 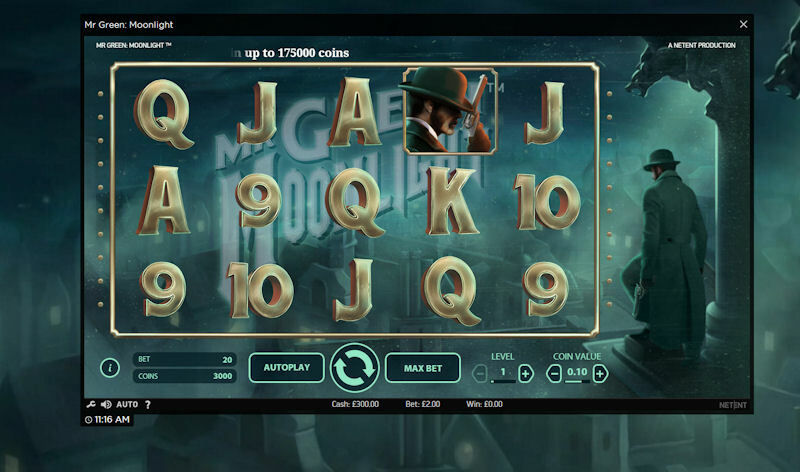 The virtual video slots that one can find in Mr Green’s website are the likes of Terminator 2, Holmes and the stolen stones, Battlestar Galactica, Dragon Dance, Football star, Karate Pig, Riches of Ra, So Many Monsters, Machine Gun Unicorn, Jack Hammer slots, Gold Rush slots, Ghouls Gold slots to name but a few. There are roughly 13 different video poker games in this casino’s website. These are Jacks or Better, Triple Play Draw Poker, Joker Wild Double Up, Jokerpro, Double Double Bonus, Pyramid Poker, and some more. The other category of games is the table games which has the uncountable number of games too. The games that fall into this category include Blackjack, Roulette, Pai gow poker, baccarat, Hi-Lo Switch, Craps, and Caribbean stud poker. Of course, there are so much more table games that I could have mention here but I feel that those few are enough for you to understand the types of games you will get in case you choose to be a Mr Green player. Leaving this sub-topic without mentioning the live games found on the casino’s website will be rude of me. So, to avoid that, let me just mention a few live games that any Mr Green player will find on this website. These are VIP Blackjack, VIP Roulette, Casino Hold’em, Blackjack Party, Auto Roulette VIP, London Roulette, Three Card Poker, Double Ball Roulette, and Ultimate Texas Hold’em. 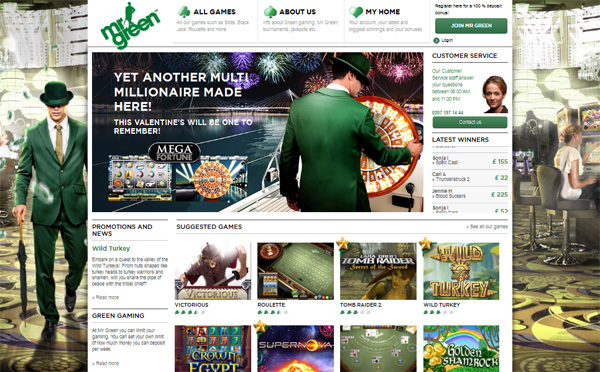 Just like any other normal online casino, Mr Green has its own way of transacting business with its customers. There are about 7 payment options that players can choose to use whenever they want to withdraw or deposit some fund into their accounts. However, those players should note that not all the currencies in the world are supported by Mr Green. Only the top and common currencies have been given the highest priorities by Mr Green. Those currencies include the US Dollars (USD), Sterling Pounds (GBP), Euros (EUR), Canadian Dollar (CAD), Norwegian Krone (NWK), Swedish Krona, Czech Koruna, and Polish Zloty. You will be forced to change your currency if yours is not one of the above mentioned. The payment options are Bank Transfer, Credit/debit cards, EUteller, Zimpler, Neteller, PaysafeCard, Skrill, Trustly, and Przelewy24. As usual, all these options have their maximum and minimum allowed deposit or withdrawal limits. Some support huge money transfer like the Bank Transfer, Credit/Debit cards, Neteller, and skrill options while the rest have a small range of minimum and maximum limits. Regularly, the transaction time is instant especially for the e-wallets deposits but takes between 1 and 3 business days to process any withdrawal transaction. It takes even more than that, especially when using the bank transfer option which takes up to 7 working days. If he/she makes a cashout for 7 consecutive days, he/she will be lucky since he/she will not incur any charges on the seventh day. The withdrawal fee is normally charged at 1% of the transaction amount. Lucky players who win over €100,000 can only withdraw 10% of that every month for the subsequent 10 months depending on the amount that the player won. 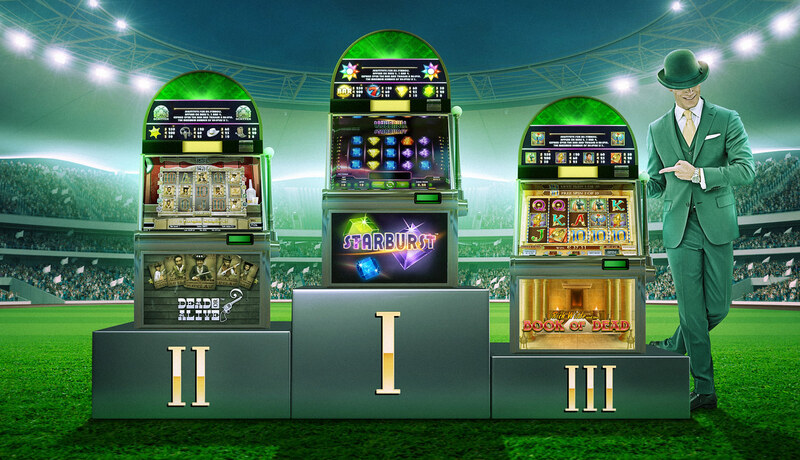 Mr Green casino has a perfect way of rewarding its new or loyal customers. The new customers have access to free spins and welcome bonuses if they are interested in getting them. A player can get 100% deposit bonus on up to €100 that the player has made. Besides that, the player can also get 200 free spins. Nevertheless, these bonuses and free spins have their wager requirements that must first be meet in order for the player to make their first cashout.